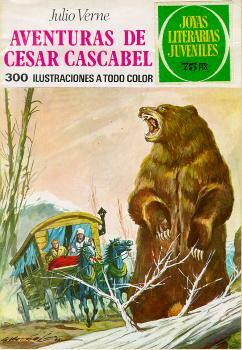 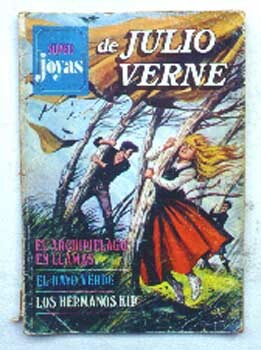 Joyas Literarias Juveniles, Editorial Bruguera, S.A.
Before you go looking for my head! 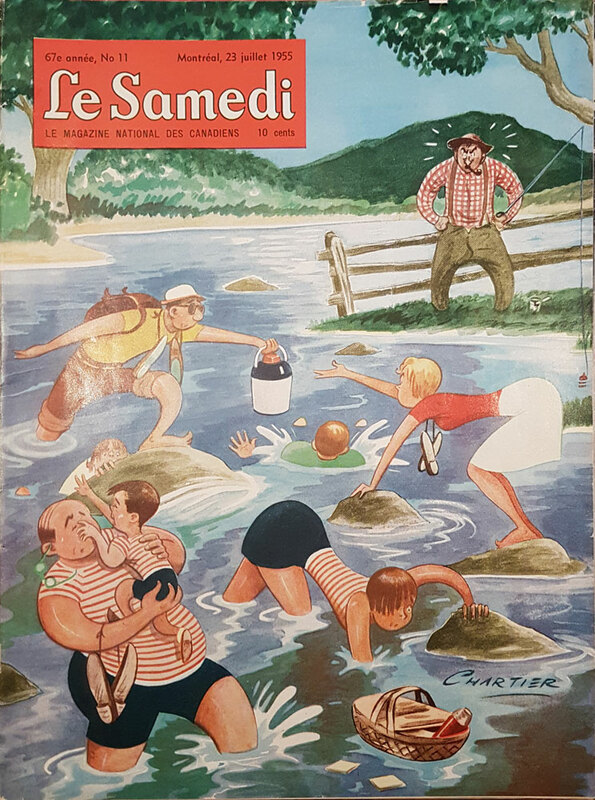 This is a publishing BLOOPER! 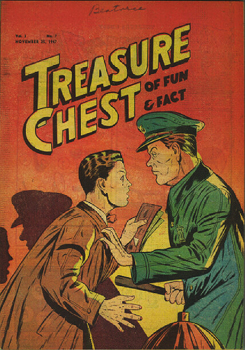 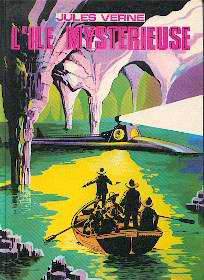 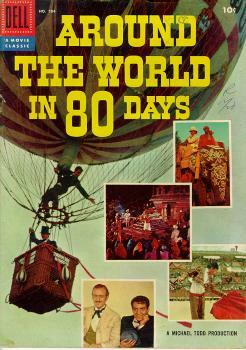 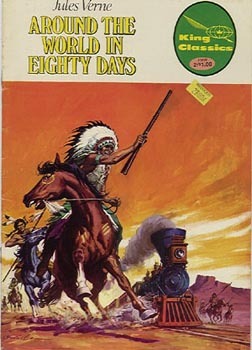 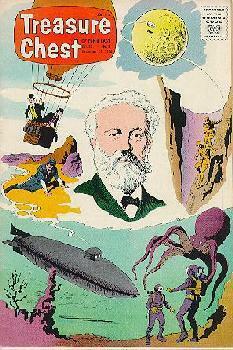 Yes, this is an H G Wells story, BUT look at the title on the cover. 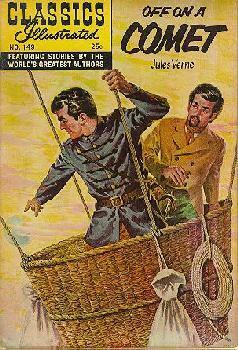 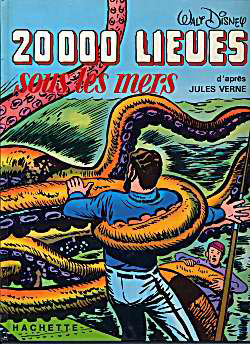 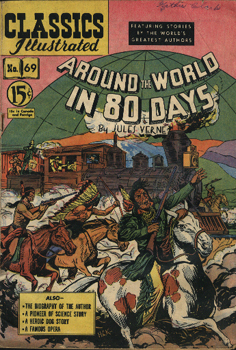 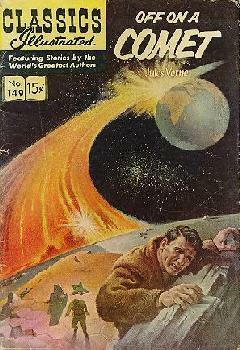 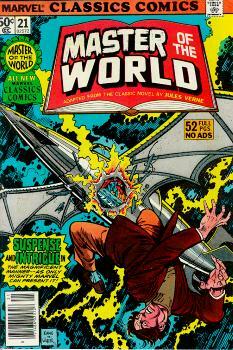 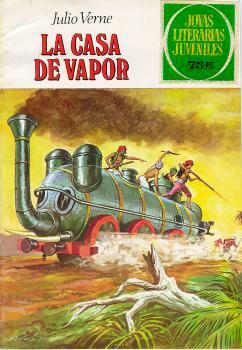 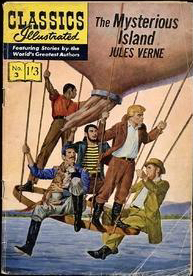 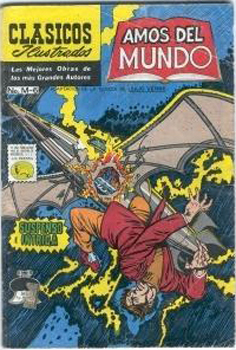 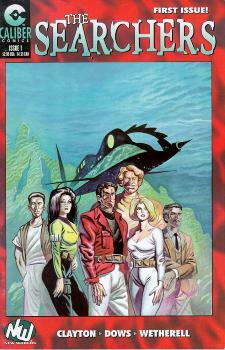 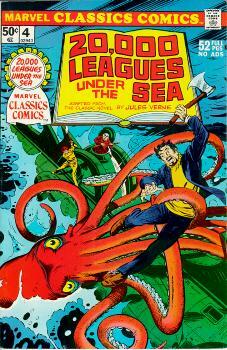 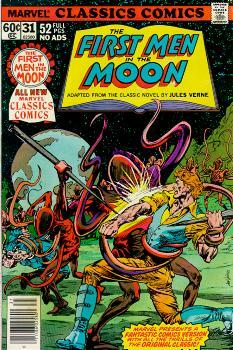 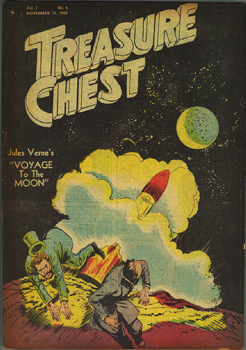 Marvel got it wrong, and said Jules Verne wrote it! 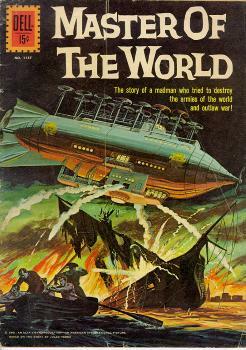 Inside it does say H. G. Wells! 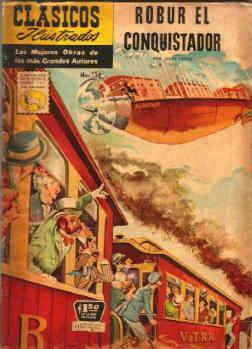 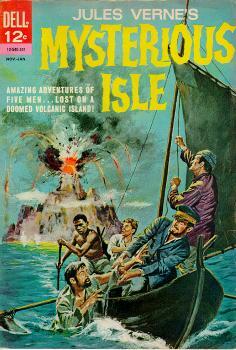 Walt Disney's World of Adventure: Mooncussers + Captain Nemo "Doom Island"
These french canadian magazine, about the size of a LIFE magazine, at the back contain comic serializations of Jules Verne novels. 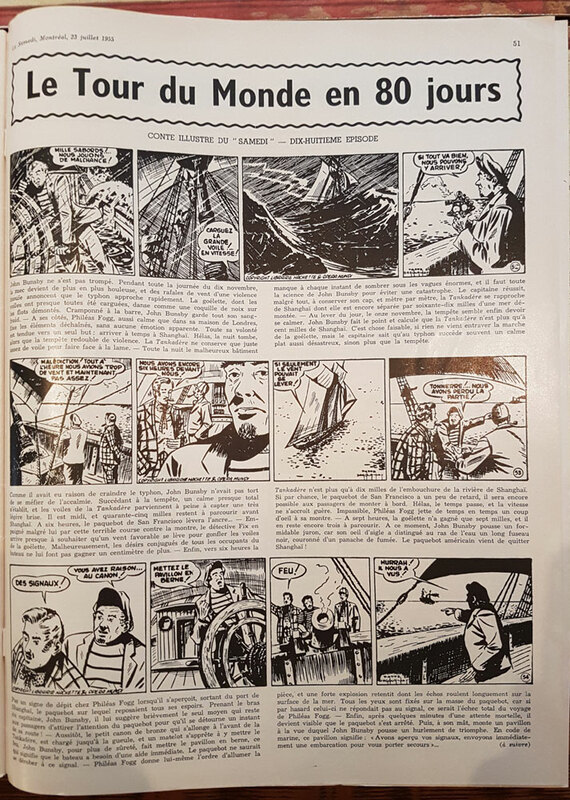 Each serialization is 1 page and has 12 panels in 3 rows with text below each row of 4 panels. 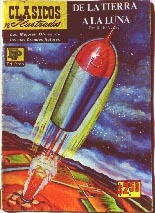 At the top of the page it says: "Conte Illustre du "Samedi". 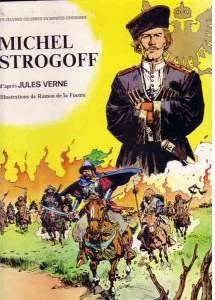 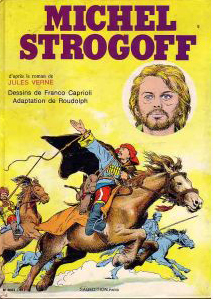 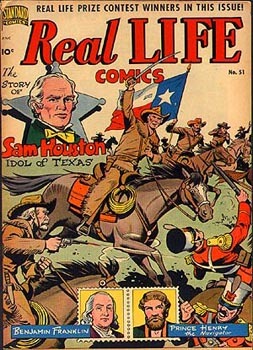 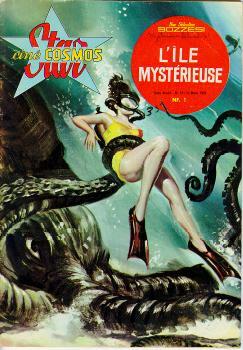 Which I take to mean "Story illustrated by Samedi" (the magazine) So, does the magaine have its own illustrators? 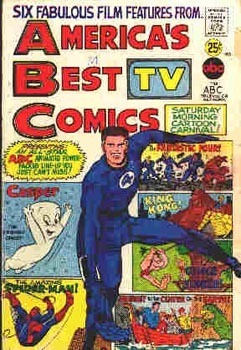 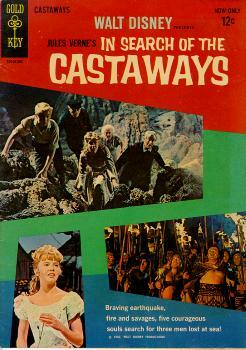 I will be putting up a page just for this magazine, shortly. 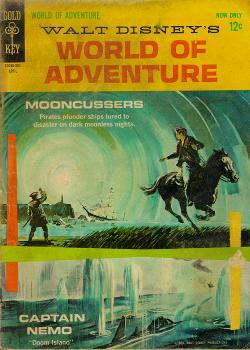 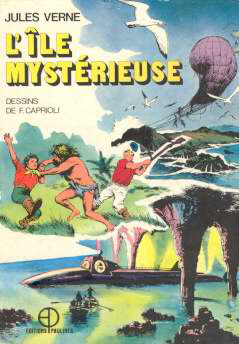 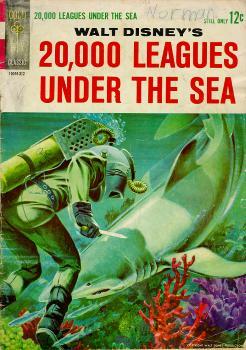 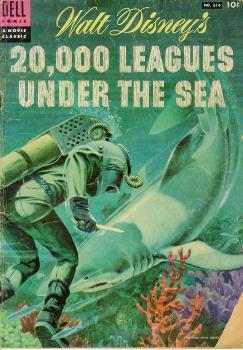 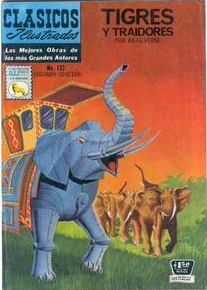 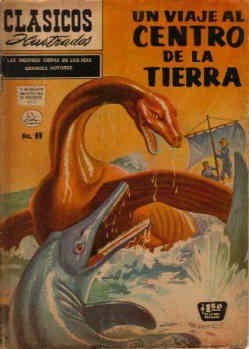 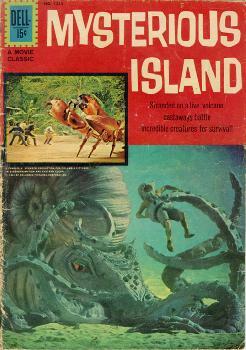 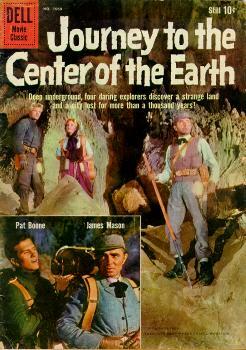 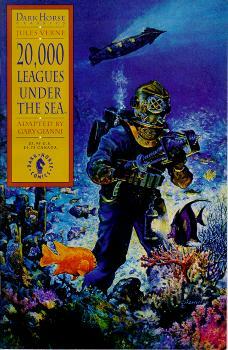 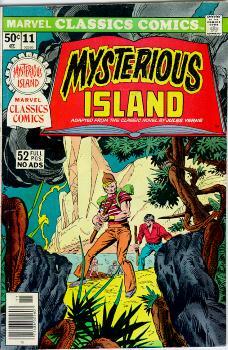 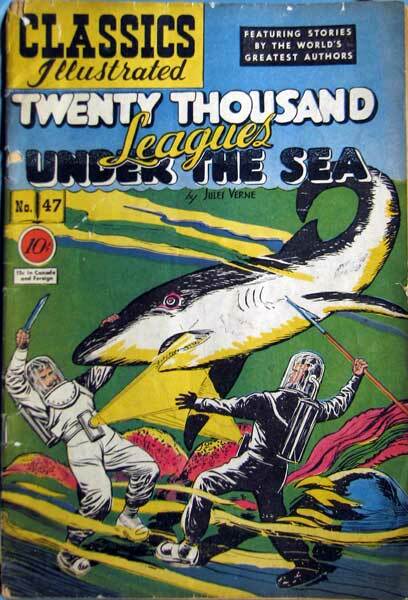 Some magazines also have serializations of "Mysterious Island" and "20,000 Leagues Under the Sea"